"Be kind, for everyone you meet is fighting a great battle." While the source of this quote is a bit fuzzy the meaning for me is crystal clear. The world could use more kindness. It's an underrated virtue, one thought of as weak. But I think it takes strength to start from a place of kindness. It's much easier to react, to be defensive (or offensive), to respond either like a pillbug that rolls into a little ball or a porcupine with quills a-bristle in every direction. Any of these responses lets you stay focused on you. Most people have things going on about which you know little to nothing. These invisible realities affect how they think, act, and speak. We in turn respond based on our own invisible realities. This can become a downward spiral of assumptions (you remember what you make when you assume, right?). 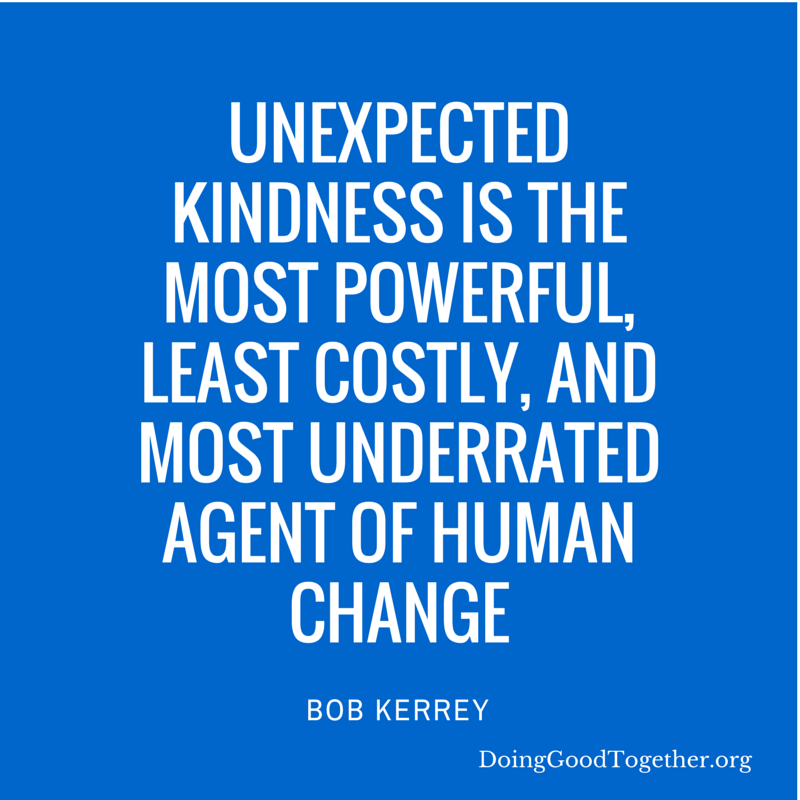 What if instead we approached interactions grounded in kindness? What would that change in ourselves, in others, in the world? I find that when I act grounded in kindness I'm happier, and there's research to back this up. 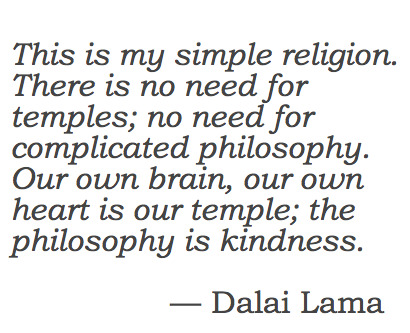 So hey, you can selfishly be a kind person and it's not an oxymoron. When I start from kindness I give people the benefit of the doubt. I rephrase a question in an email before sending it to eliminate the negative connotations in a word choice. I ask if someone needs help, whether they're looking for an address or an item in the grocery store. I smile with sympathy at the parent on the bus dealing with a tired, cranky child and give "peekaboo" a shot to see if it works; I've been there, it wears you out, and the last thing you need is total strangers looking at you as if you're a bad parent with a bad kid. It can take time and effort if it's not your usual starting point. Even if it's a common "setting" for you it can still get lost if your defenses go up or someone comes at you with their hair on fire. 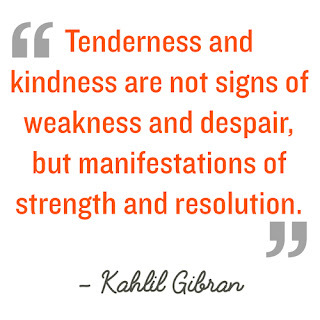 If it's not already a reflex or if you're in an especially challenging situation kindness requires mindfulness--that moment in which you take a breathe and think before reacting so you can choose your response. Kindness isn't just something for other people, either. The concept of "ahimsa"--compassion or non-violence--includes compassion towards oneself. It's like putting your own oxygen mask on first; you can't help someone else if your own air supply isn't flowing. There's a quotation attributed to the Buddha about happiness that for me also applies to kindness: "Thousands of candles can be lighted from a single candle, and the life of the candle will not be shortened. Happiness never decreases by being shared." 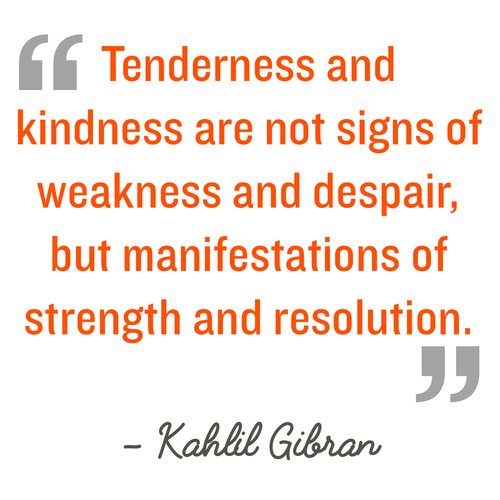 How does kindness show up in your life? Are you kind to yourself? To others? 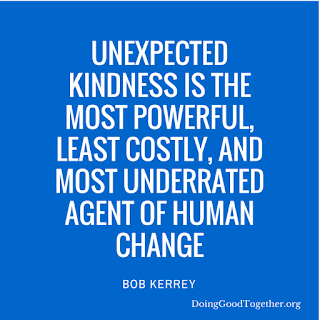 How can you increase the overall kindness levels in the world? A Life Manifesto. Or, as Oprah Would Say, Live Your Best Life.